The team of five exhausted fishermen have just return from a three-day tiring journey of the Arabian Sea. After anchoring their wobbly 30-foot boat at the fishing jetty of Karachi’s historical fishing settlement, Ibrahim Hyderi, they started unloading nets and emptying the plastic baskets. Finally they piled up their catch, which comprises small fish. The three nights of labour will earn each fisherman 3,000 Pakistani Rupees ($30), as only fish meal factories will buy it for less than the market rate. “There are no fish near the shores and we have to travel into the open sea to find the catch,” said Abass Mallah, the 40-year-old captain of the boat. The residents of this old fishing village are running out of luck as they have to find ways to tackle the rising pollution from Pakistan’s largest city. These days, they need powerful motorboats, bigger fishing nets and extra men to sail into the open sea and spend several days in search of fish. Just a few yards away from the fishing jetty, heaps of rubbish have been dumped on the beach. According to locals, influential people have started inviting rubbish trucks to come and dump municipal waste into the sea. They hope to then lay claim to the adjacent land and sell it at a large price. Just outside the village, there is a huge drain. It pours smoky black water, layered with white foam, into the sea. This effluent comes from the city. There are six industrial zones in Karachi with around 10,000 industrial units that manufacture everything from textiles to chemicals and paints. The most polluting, in terms of chemical waste, are the tanneries. Authorities estimate that Karachi produces around 500 million gallons per day of waste water. Around one fifth of water comes from these industries, while the rest is the domestic or municipal sewerage. “Almost all of the sewerage and industrial waste water goes into sea without treatment, which has brought a natural disaster, as we are losing our fish catch and also it is affecting marine life" Mandhro said. "We are working to resolve the issue." However, factory owners have different ideas. “Most of the industries were built five or six decades ago and now they have no space to build treatment plants inside the factories,” said Syed Sadiq Ahmed, an owner of a small factory in Korangi Industrial area. He said the government has a plan to treat the industrial waste water but nothing has been done yet. “A huge treatment plant was started in Korangi Industrial area, but is no longer functional." There are no designated landfill sites in Karachi, therefore the rubbish or solid waste, which includes plastic, is thrown directly into the sea or dumped in rainwater streams or nullahs and ultimately washed into the sea after monsoon floods. According to data collected by the Sindh Environmental Protection Agency, there is also the waste from the huge local cattle colony, which houses around a million animals, a mix of cows and buffaloes. The waste produced by them is also dumped in the sea. Pakistan’s only two functional ports – Karachi Port and Bin Qasim Port – are also located on these shores, which contribute to the pollution. The Karachi Port Trust authorities claim that they are working day and night to keep the sea clean, but the Pakistan Game Fish Association has termed the port as, “possibly the most polluted port in the world”. Oil spills from the ships in the vicinity are common, and the Tasman Spirit oil spill in 2003 was one of the world’s worst. The Greek oil tanker carrying 67,500 tonnes of crude oil ran aground near the Karachi port, killing thousands of fish and birds in the area. The impacts of the spill still linger. 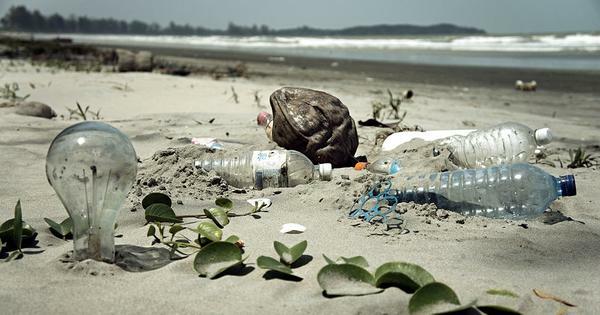 Ecologists are worried about the increasing marine pollution. Nadeem Mirbahar, a renowned ecologist and coordinator at the International Union for Conservation of Nature and Natural Resources, Pakistan, said pollution has badly affected the fish catch and marine life. “Along the Karachi coast, locals sometimes find corpses of endangered green turtles and other cetaceans that died because of the pollution, especially due to throwing of plastic waste into the sea,” said Mirbahar. 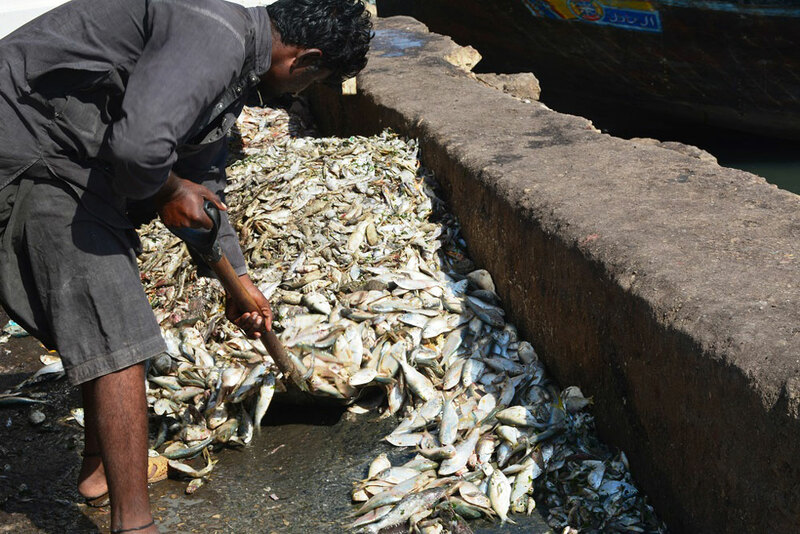 He said that several species of fish have disappeared from the waters of Arabian Sea due to pouring of industrial waste.